Work for Covisint B2B Cloud Platform? "Utilize Covisint B2B cloud platform for IoT & identity-centric solutions "
Before Covisint, we had to print PACS records/manually fax them to 10 different nursing homes/wait for responses; now, it's a single click/everything is updated at once. We can know at a glance information on status, authorizations, review dates, discharge planning/other key metrics. Covisint’s audit trail is great/the solution is intuitive/easy-to-use. Covisint as a pioneer in cloud computing which still needs real world verification to make sure that's the right direction to go. Though no longer the auction site its founders originally envisioned, Covisint still exists today because its basic technology foundation — federated identity management, which enables users from different organizations to log in once/access secure data in hundreds of locations — remains relevant. If you're in B2B, you may with try Covisint. One of the nice features is the member-centric barcoded cover page. You can convert hard copy documentation to an electronic image/attach it to a member record. Also, if you send an information request to a provider the response is routed directly back to the member's record. 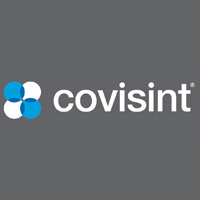 Learning about Covisint B2B Cloud Platform? * We monitor all Covisint B2B Cloud Platform reviews to prevent fraudulent reviews and keep review quality high. We do not post reviews by company employees or direct competitors. Validated reviews require the user to submit a screenshot of the product containing their user ID, in order to verify a user is an actual user of the product. Hi there! Are you looking to implement a solution like Covisint?